This 48-page reader is aimed at helping young readers develop their reading skills. The book introduces readers to the characters, vehicles, and locations from the film, Star Wars: Episode VIII - The Last Jedi. 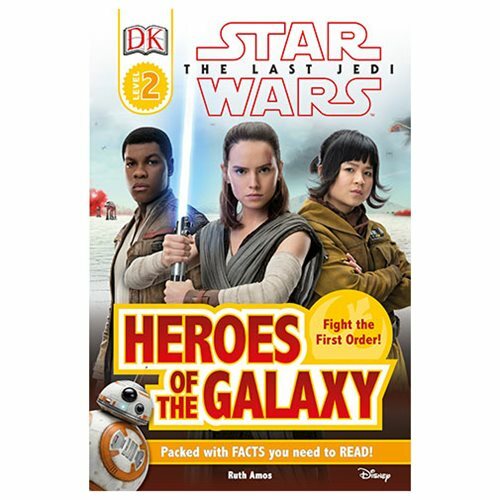 The Star Wars: The Last Jedi Heroes of the Galaxy DK Readers 2 Hardcover Book measures about 9-inches tall x 6 1/2-inches wide.